Reminder: The polls are still open through next week. And please visit our Facebook page. Have you ever wondered how that book got its cover? Here's your chance! Please join me in welcoming two book cover/book designers, Cheryl Rogers of New Christian Books Online and Delia Latham of Delia's Designs. Cheryl, How did you become a book cover designer? What is your training? I am a former newspaper copy editor and desktop publisher, so the elements of book design are very familiar to me. 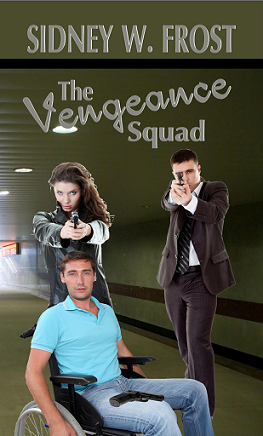 As an author, I began first by designing my own book covers using my own photos or those of others. From there I began helping fellow authors to improve their books, either through editing, proofreading, formatting, layout and/or book cover design. What are the most fun and least fun parts about the job? What is your idea of a perfect design? I love the creative process, so getting my hands on a great piece of art that helps tells the story and sells the book is probably the most exciting part. From there it all comes together through the selection of just the right type that will capture readers’ attention and help sell the book. A perfect design will have balance. The words will jump out at you and the background art will support the message. There will be adequate margins and the completed cover will look well put together, like when you are going out for a big party. Everything will contribute to the total look, creating just the image you want it to create. Do you prefer to start with the author, the publisher, or your own ideas that represent the book? I’ve got to start out with the ideas of the one who’s paying me, because I have to please him or her. In my case, that usually is the author. It’s important to find out from the beginning what image they have in their own minds for the cover, otherwise I can’t give them what they want. It is important for me to share my professional opinion and I do so with respect. I feel I must share or else I’d be cheating them of the benefit of the design knowledge I’ve acquired through the years. But if they don’t chose the image I prefer, or the design I recommend, I’m okay with that. After all it is their book, not mine. How often do you read the books for which you design the cover? Or go and buy them later, or recommend them to friends? As an author who helps other authors, runs an online magazine, and is a wife and mom on top of that, my time is limited. I love books and any creative endeavor, which is why I enjoy doing what I am doing. But no, I do not read the books unless I am hired to edit and/or proofread them. I simply do not have the time. 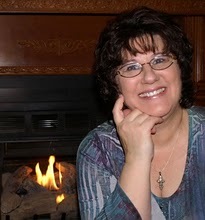 Cheryl Rogers is a Christian author and free-lance writer, copy editor, layout artist, book cover designer, and print broker. 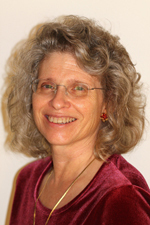 She publishes New Christian Books Online Magazine as a service to the Christian reading and writing communities. Cheryl likes to write for all age groups, encouraging them to seek God early and be obedient to his Word. 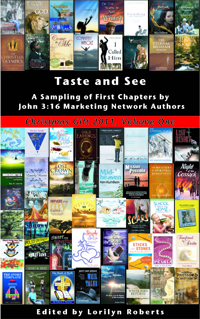 Her latest book design project was the book cover for the John 3:16 Marketing Network’s book, Taste and See, A Sampling of FirstChapters by John 3:16 Marketing Network Authors, slated for release soon. And secondly, we welcome our own Clash hostess, Delia Latham. Delia, How did you become a book cover designer? What is your training? I have designed marketing products for authors for several years. (Bookmarks, postcards, posters, etc.) 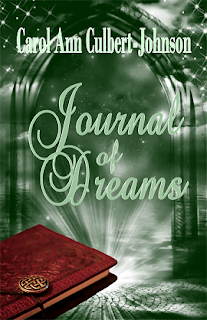 I decided to try my hand at book covers when one of my bookmark customers asked for a simple cover design for a little giveaway book she was putting together for her readers. I had so much fun with it that I knew I had to add it to my services. I love the design portion, of course. Coming up with a "vision" for what the cover should be, and then making it a tangible reality. My tendency is to spend longer on a project than my rates justify, simply because I enjoy what I'm doing. My idea of a perfect design is one that is 1) attractive, 2) provides a clear idea what the overall story is about, and 3) makes the author proud to showcase his/her masterpiece. 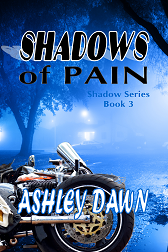 I like to have some idea what the author wants, because as an author myself, I think every author should be able to say, "I love my cover art!" So I usually ask for their back cover text, so I'll know what the book is about. If they want people on their cover, I need some idea what those people should look like. I want to know if there are any objects in the book that are key to the story...like, for instance, a necklace or a trunk or a key—some element that could add interest to the cover. From there, I try to take the project and run with it. I haven't needed to deal with publishers yet, as all of my customers so far have been self-published, or responsible to provide their own covers. How often do you read the books you for which you design the cover? Or go and buy them later, or recommend them to friends? Unfortunately, I don't have time to read the books I design covers for - although, I must admit, a couple of the back cover blurbs have definitely piqued my interest! Delia Latham is a born-and-bred California gal, recently transplanted to Oklahoma where she lives with her husband Johnny. She’s a Christian wife, mother, grandmother, sister, and friend—but above all, she treasures her role as child of the King and heir to the throne of God. When she’s not writing, she loves to play piano and sing, read, enjoy nature’s beauty, and design marketing products for authors. A former newspaper Staff Writer and frequent contributor to her hometown’s regional publication, Bakersfield Magazine, she has also freelanced projects to a public relations firm and various magazines; has compiled, edited, and designed cover art for various Kindness Incorporated projects; and has sold greeting card verse. Well, this was fun! :D I'm so used to talking about the books I write, and it was a refreshing treat to talk about books others write - for which I've designed the covers. Thanks for the chance to do so! Very interesting to see how things in life evolve in order to use your gifts. I enjoyed this. I love that you interviewed people who create Cover Art. I have a couple of questions for both Cheryl and Delia. Do you use a certain computer program to help you create your art? Or Do you do free hand and photography? I am not an artist so "no," I do not use free hand in my book covers. I rely heavily on photography and the artistic use of type. Thanks for hosting me on the blog, Lisa! Wendy, I also depend on good art, just the right font, and using that font creatively. I use Adobe Photoshop, but I usually go back and forth between Publisher and Photoshop for different portions of the cover. Great questions, Lisa! I loved this peak into the cover art designer's world. It's a little explored area of the book industry. Delia and Cheryl, thanks for sharing your expertise with us!